You get what you pay for with these tires. They ride very smooth on the gl1500. 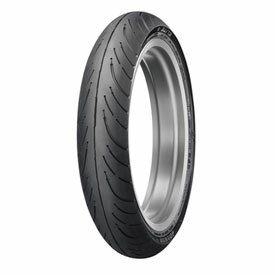 I previously had Avon Cobras which were good but the front tread design made the front tire sort of pulsate over 70mph. The anti cupping tread design on these are nice and quiet, and perfectly smooth for me. These are the best tires I've ever had. Excellent tire better than Elite 3. Dunlop 4s seem to be better than the 3s don't know about wet riding sine we are in a drought and the state has at least 5 fires now. The handling is improved. For tread life time will tell. I usually end up with three flat spots because of all the cornering I do running the canyons. I ride a Vision Tour. I have the E4 installed on an 03 Kawasaki Concours, running the 130/70-18 Bias ply on the front and have close to 15.5K miles on it so far and it looks to only be about halfway through it's life. Rides great in wet and dry, no noise that I can tell and very even wear. I run 2oz of Dyna beads and no other weights. The rear only lasted about 12K miles in the 150 size, ran great very smooth and great in wet too, used 2oz of beads in it too. Just not enough miles out of it for my taste. Only have a 500 miles on it the dunlop 4 is good on the corners. 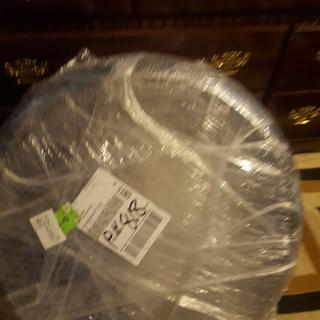 And as always rocky mountain has the best prices and fast delivery. The shop I go to recommend them , I feel they handle better than the original one did , they are a upgrade for original ones that came with the bike were , I did stick with brand my bike came with & I'm happy I did ! Love the tires! Smooth ride! Great tire so far. No issues as of yet. How does the E-4 compare to the E-3 as far as noise in turns? BEST ANSWER: I had no noise with the E4, even with 28,000 miles on it. I ran dyna beads in both and think they both performed very well and neither was loud for me, but ai would say the E4 is quieter and the bias ply version seems quieter than the radial. I got 28,000 oit of the bias E4 and got a radial on now and it is doing great so far. I do not hear any noise from the E4 unlike the noise from the E3. I run the E4 front & back. My wife as a passenger even commented that the new tires were much quieter. I am happy with the E4. Just did a 4000 mile trip on them. I dont recall the e3s making any noise and i got over 18000 miles off of them. The e4s are wearing good with 11000 miles so far and i run 40 psi in both tires on a street glide. They hold good on curves. I think the E4 is a lot better than the E3. As far as noise in turns, the only noise I have gotten was from the rear E3. The E4 is quieter and has lasted me longer than the E3. Hope that helps. I have noticed a reduction in the "hum" when I take my Vision into a lean/curve. No difference in city-speed upright "turns." Have it on my Victory CCT highly recommend it. Grips road extremely well and corners better than Elite 3 no noticeable noise. I don't notice any noise and traction is excellent in wet and dry conditions. I love these tires. I only have 5000+ miles on the E4's, so far noise, grip and overall ride is better than E3's. I’ve never noticed noise in turns. These are hands down the best tires I’ve ever owned. When I had E-3s they seemed to hum a little. I haven't noticed that hum with the E-4s. Personally, I find the E-4 more quiet. Not a huge difference, but enough to notice. I love it! Very minimal noise! They handle the turns amazingly! I live it! Very minimal noise! They handle the turns amazingly! They make less noise and adhere better. I didn’t notice any difference. How does This tire compare to a elite 3? 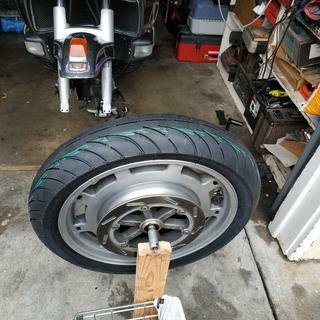 BEST ANSWER: I only have around 2000 miles on mine so cant compare wear, Any new tire will change the handling but I do know the E4 seems to handle better and I have much more confidence in the rain (Ive ridden on windey roads in the rain with E3 and E4) Ill buy another. 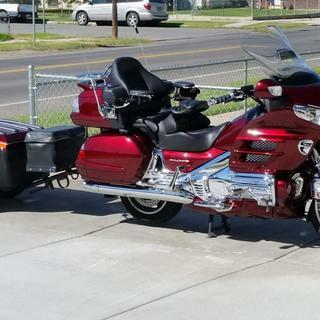 I have a 1988 Honda Goldwing GL1500. What size tire will fit my front tire? It is my understanding that the elite 4 superseded the elite 3. The elite 3 was the tire on my bike when new but I could not find the elite 3 in the right size for my bike. The tread design is different. There is no center grove on the 3. Blows the E-3 out of the Water on the 1500...I have over 10K on them now, no sign of real wear or cupping. I have been running them a couple pounds higher in PSI as per Dunlop REP in Daytona. Tires really hug the road....I love them! The Elite 4's are better than the 3's as far as handling and having a more stable feel. I would not purchase the 3's after riding on the 4's. Still can't comment on wear as only 2000 miles so far. On my second one, more miles than the E3, 6,500 more. Handling is still great, possibly a little better in the rain. Will be getting another. Handling is equal to E3, longevity has shown to be improved if proper inflation and balance is maintained. This tire is very much like the elite 3, but has better tread design for wet riding. A lot better. Better wear, better ride, better wet road handling.